Governor Bruce Rauner wrapped up his first weekend since taking office by attending a church service in south suburban Matteson. 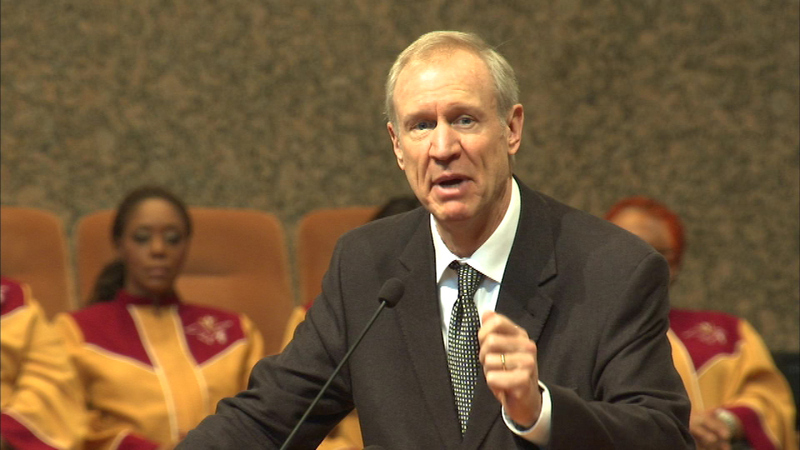 MATTESON, Ill. (WLS) -- Governor Bruce Rauner wrapped up his first weekend since taking office by attending a church service in south suburban Matteson. "I love Illinois and I love the city of Chicago," Rauner said. "I've lived around here all my life. We raised our six kids here and I want this to be a great home for every family in every community throughout the great state of Illinois." The governor addressed the congregation at Victory Apostolic Church during their Sunday morning service. Rauner said he is using his God-given gifts in business to work for the good of Illinois.